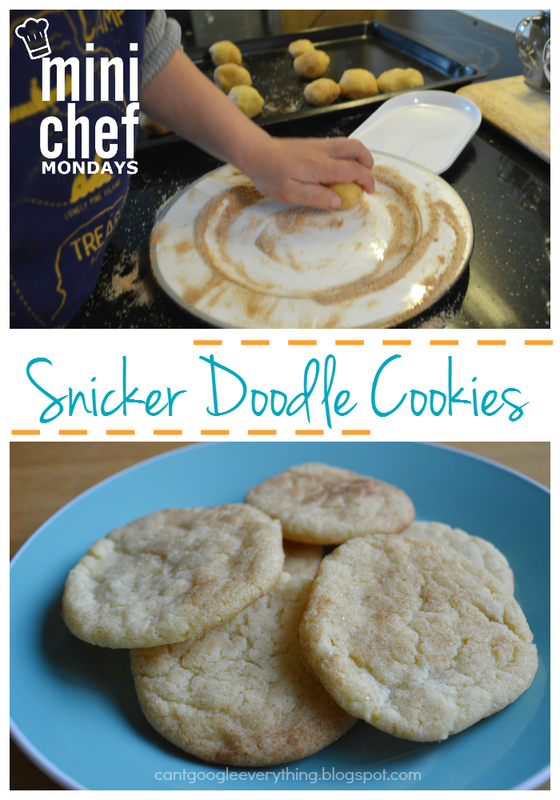 Mini Chef Mondays: Snicker Doodle Cookies! 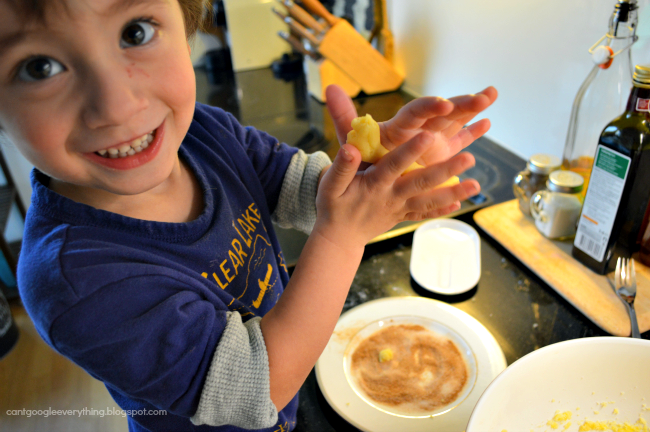 Welcome back to Mini Chef Mondays! 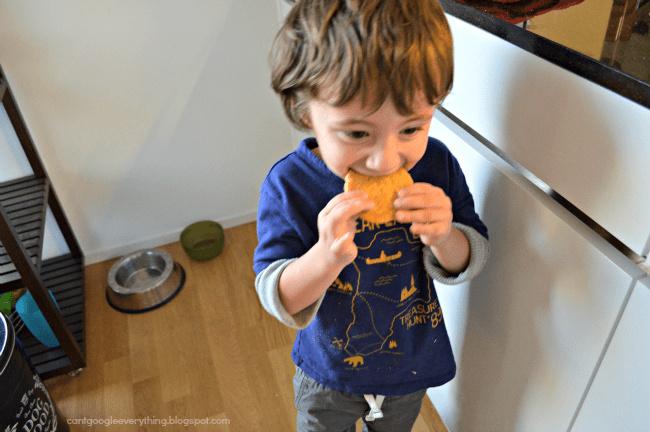 This week Carter and I are sharing one of my favorite cookie recipes (besides chocolate chip of course) – Snicker Doodles! 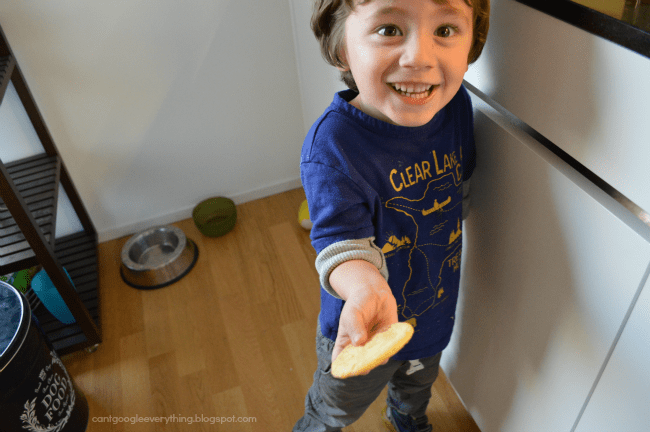 Cookies are both fun to make and eat, and Carter was able to help with almost every step of this recipe. 1. Cream butter and sugar in a large bowl. 3. In a separate bowl sift the flour, salt, baking soda and cream of tartar. We just mixed it with a whisk and it worked fine! 4. 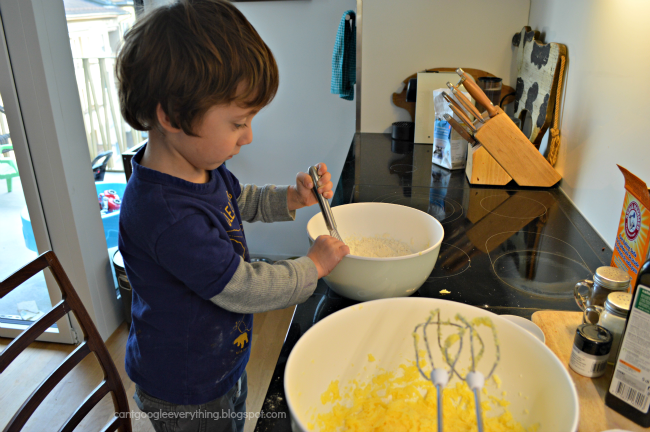 Dump half the flour mixture into the butter mixture and mix together. Add the rest and mix again. You will have a light yellow, sticky batter. 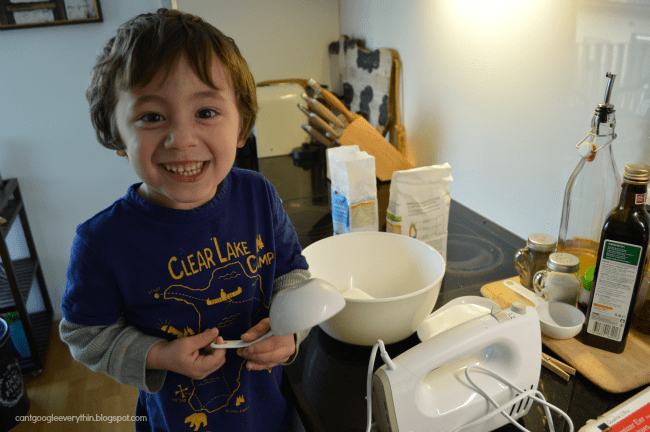 I let him use the hand mixer for this recipe for the first time. I was super nervous but he followed the directions and did it correctly, didn’t even spill a drop! 5. Cover dough and place in fridge for an hour to cool. The dough should be cold and hard. 6. Preheat oven to 400 degrees. Make your cinnamon & sugar mixture on a small plate or bowl. 7. 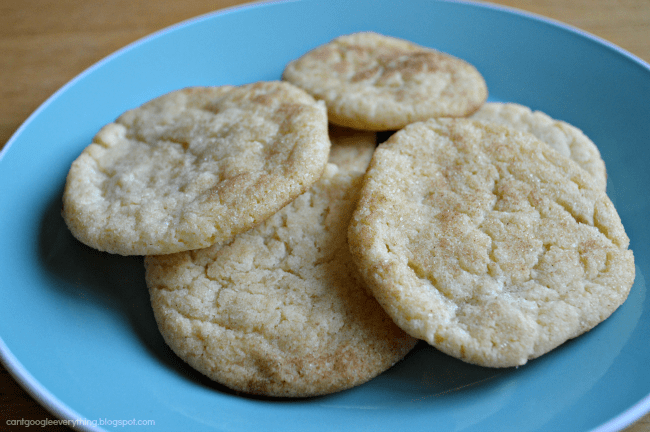 Remove dough from fridge and start making the cookies! For each cookie: take a piece of dough about the size of a walnut and roll into a ball. At first Carter kept making them into snakes, but after I showed him a few times what to do, he started to get the hang of it! 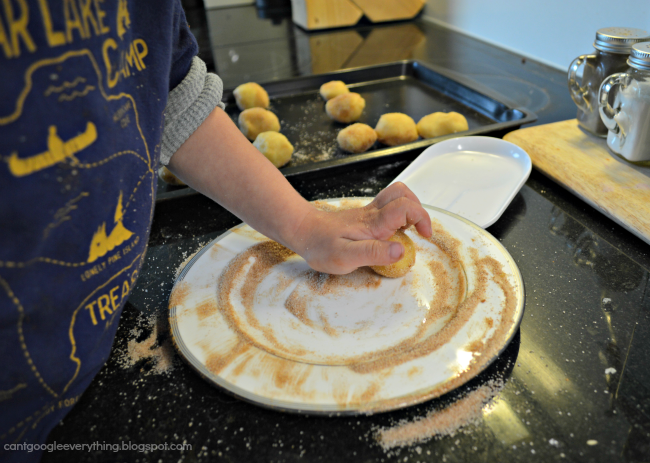 Roll the dough balls around in the cinnamon-sugar mixture to coat all sides. Place on an ungreased cookie sheet. 8. Bake for 10 minutes, until edges are brown. Add two minutes if cookies are too soft. 9. Cool on a wire rack before enjoying! Don’t worry, we saved one for you! 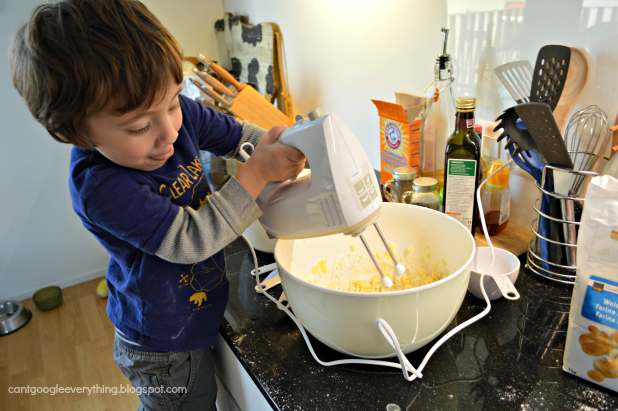 Oh my gosh, this is such a fun idea for you and Carter, and he looks like he's having so much fun! !